Tim Hortons Canada is introducing some NEW delicious menu items. Celebrate Easter with the two NEW Cadbury Mini Eggs donuts! 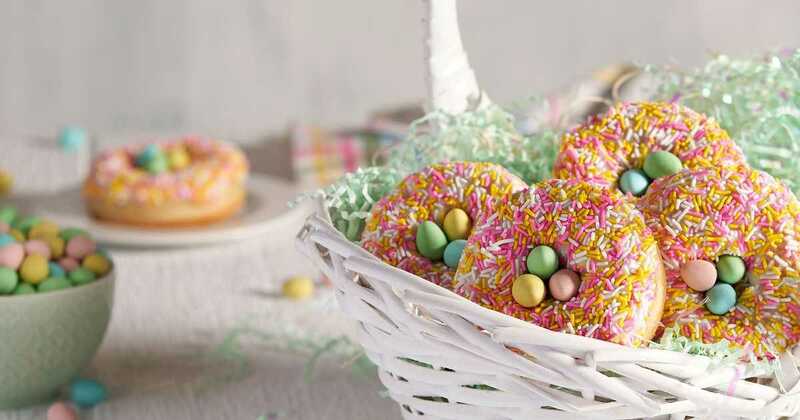 The first Cadbury Mini Eggs Donut consists of a donut topped with pink, white and yellow sprinkles along with Cadbury Mini Eggs nestled in the middle. The other Easter-inspired spring donut features a ring donut covered in green sprinkles and a Timbit bunny nestled in the donut hole, complete with Cadbury Mini Eggs ears and a decorated bunny face.